Cleveland is seeing the slowest decline, but that isn't saying much. My pick for healthiest markets? 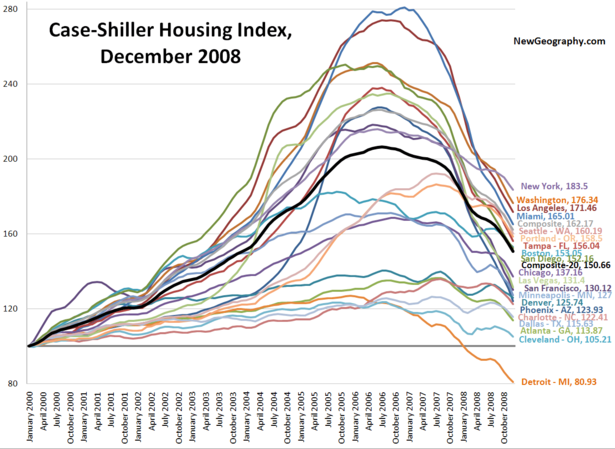 Denver, where prices are still up 25% from the 2000 baseline but still down 5.2% from the most recent upswing in July 2008. And Dallas, down 6.1% from the July 2008 peak and down 8.6% from June 2007. Dallas is up 22.9% since the Jan 2000 baseline.